If you have other books you would like added to this list, please add a comment to this post. One more week until I have to hit the books again for school, but this will not stop me from reading for fun! 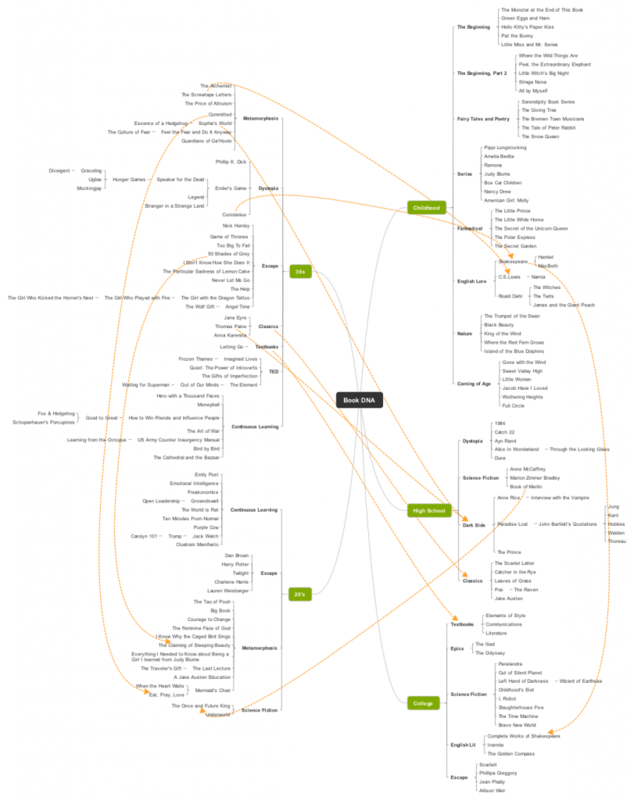 I have spent the past month turning my Book DNA list into a mind map. I will add links as I finish each section in the vlog series. There are some entries where only the author’s name is listed because I read everything in sight by that author and the mind map entry requires a bit of fleshing out. The vlog series returns from summer break next Friday! Each week we will explore the next five all time favorite and impactful books that have shaped my book DNA. For additional reading recommendations, please review the Book DNA category.